Design Architecture Consulting - Are Companies Barking Up the Wrong Tree? Are Companies Barking Up the Wrong Tree? Who says you can’t teach an old dog new tricks? One of the trending questions companies are asking themselves is whether they should be a pet-friendly employer. Pets in the workplace is a hot topic for consideration these days. Employers are finding themselves confronted with underwhelming employee retention strategies and challenges on how to attract great talent. Quite naturally, there are pros and cons of having a workplace program for pets. Below are a few to think about. Better Health for Pet Lovers: It’s a known fact that having a pet reduces blood pressure, lowers stress levels and promotes a feeling of rejuvenation when playing with a pet. Many studies have taken place to prove pets in the workplace promotes less stress, which can positively impact employee teamwork and overall job fulfillment. Decreased Allowance on Pet Care: If the employer allows furry friends in the work space, this could mean that the employee’s maintenance cost could be reduced based on what the employer provides for the animals. If food, water, and treats are provided, it’s a true win for the employee! Increased Employee Productivity: Employees have reported that being allowed to have a pet at work makes them feel more supported by their employer. In turn, the employee is more appreciative of the employer and intrinsically becomes more productive. 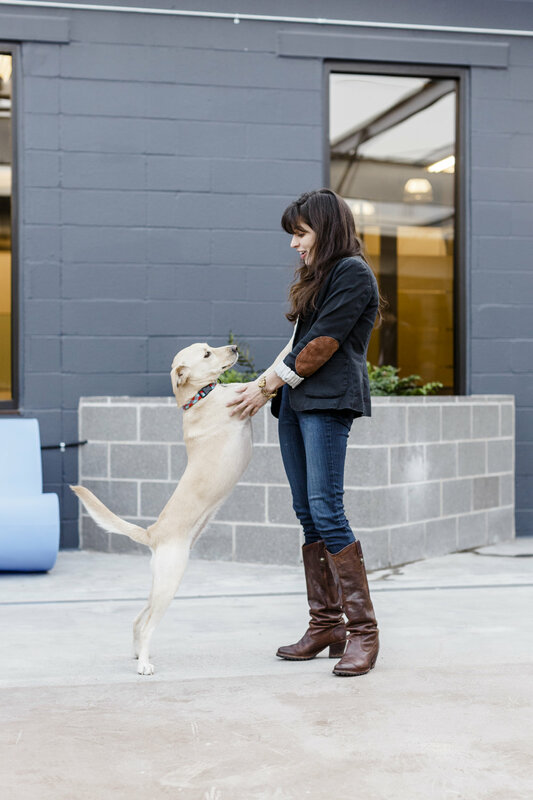 Work Life Balance: Bringing a pet to work is a direct play on work life balance. It helps blend the two worlds so that employees have one less stressor to manage and more time to devote to productivity. Decreased Employee Productivity: Pets may provide a calming effect for most people, but they may also provide distractions. Instead of the furry one being at home dictating when to eat, play and exercise, employees must handle their responsibilities throughout the workday. Not to mention trying to regulate the pet’s noise and odors. Some companies who have tried out pet programs eliminated them within months due to drops in employee productivity. Cost: First, employers must consider the insurance implications of providing a pet friendly environment. A hefty increase in rate can be expected based on litigation alone. In addition, physical accommodations to provide an all-inclusive pet experience can be costly (play areas, food and water, and toys). Worse Health for Coworkers: Pet allergies are real. Although pet owners love the idea of having their pet at work, there are others that feel threatened by having animals around. For these people, a day at work means elevated blood pressure and stress due to a sense of threat of well-being and safety. In the long run, this could mean more visits to the doctor. In a perfect world, bringing a furry family friend to a place of employment would be met with giggles and good times. No matter which decision a company makes about incorporating a pet program into their environment, it is crucial that the decision is made with much thought and research. If you think a pet friendly environment would be a benefit to your workplace, talk to you HR department about the possibilities of building a program. Click here for more information on benefits and drawbacks to allowing animals at work, and for tips on taking your pet to work. As an Interior Designer, Brandy helps clients solve core issues to meet anticipated goals. By understanding the big picture, Brandy’s design ideas are eloquently executed and appreciated by those who inhabit the space.